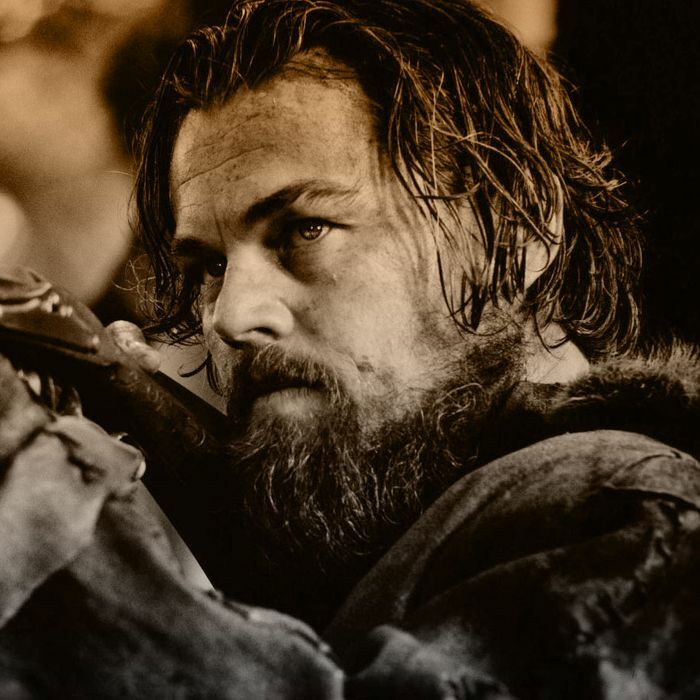 After triumphing at the Golden Globes, the DGA, and the BAFTAs this past weekend, Alejandro González Iñárritu’s brutal drama The Revenant is finishing strong during this topsy-turvy awards season, and many pundits are now giving it the edge over neck-and-neck Best Picture front-runners Spotlight and The Big Short. So can The Revenant win? Certainly … but it’s still going to have to overcome a few precedents that don’t work in its favor. No director has ever made back-to-back Best Picture winners. If The Revenant takes Best Picture the year after the Iñárritu-directed Birdman won that award, a significant Oscar record will have been set, since no other director in history has managed that Best Picture twofer. While that certainly doesn’t preclude it from happening this time, the Academy often takes the proximity of previous wins (or losses) into account when evaluating Oscar-worthiness: Plenty of terrific nominees are routinely passed over in the wake of a recent triumph (which is why no one is taking former winners Cate Blanchett and Eddie Redmayne seriously this year), while the Academy likes to reward people who have never won before but feel “due” (a primary reason The Revenant star Leonardo DiCaprio is widely expected to win Best Actor). This tendency to spread the wealth may inhibit Iñárritu’s chances: Why give him another Oscar this soon, especially when the directors of The Big Short and Spotlight (Adam McKay and Tom McCarthy, respectively) would each be welcomed to the winner’s circle for the first time? It didn’t get a screenplay nod. It’s hard to say why The Revenant was blanked in the Best Adapted Screenplay category. The generous read is that the film may have been snubbed because its main character is virtually voiceless, but, whatever the reason, Oscar rivals are quick to point out how difficult it is to win Best Picture if your words aren’t up for a win, too: Only seven movies have ever managed that feat, and most of those anomalous winners came early in Oscar history. The most recent film to win Best Picture without a screenplay nod was 1997’s Titanic, but before that you’d have to go all the way back to 1965’s The Sound of Music. Those aren’t good odds. The Revenant missed at the PGAs. After the Academy expanded its Best Picture field and adapted a preferential ballot (which favors consensus picks that can marshal the most No. 1 and No. 2 votes), the Producers Guild of America followed suit, and ever since, both organizations’ top winners have matched up exactly. The six most recent Best Picture victors all triumphed at the PGAs first, and that statistical precedent augurs best for this year’s big PGA winner, The Big Short. Yes, The Revenant’s guild triumph at the DGA is nothing to sniff at, but the PGA ballot is a better simulacrum of the Best Picture field (every eventual Best Picture nominee except Room was also recognized by the PGA), and The Revenant’s loss on a preferential vote there may indicate that it’s simply too polarizing to take home the top prize. It wasn’t even nominated for the top prize at SAG. December movies haven’t fared well lately. The conventional wisdom holds that year-end movies do best with Oscar, but there is such a thing as coming out too late: Many pundits thought Christmas release Selma was handicapped last year because its awards campaign (and screener release) took too long to get going. Most of the recent Best Picture winners popped early at fall film festivals, which allowed them to be widely seen before most of the guilds began to weigh in; would The Revenant have scored at SAG and PGA, one wonders, if it could have been made it into theaters before Christmas? The last December movie to win Best Picture was 2004’s Million Dollar Baby, which sneaked onto the schedule at the end of an unremarkable awards season. The Revenant, on the other hand, will have to fight two strong front-runners that have been established for months. You need more than two Oscar wins to get Best Picture. Both Spotlight and The Big Short are expected to triumph in their respective screenplay categories, but another win may be hard to come by. It’s awfully rare for a movie to win Best Picture that has such meager support elsewhere — in fact, the last Best Picture winner to take home only one other Oscar was 1952’s The Greatest Show on Earth. That’s why this year’s Oscar ceremony will likely be such a nail-biter: While Spotlight and The Big Short still have a good shot at winning Best Picture, The Revenant will likely clean up in other categories before those other films even have a chance to get on the board, and at least two Revenant wins for Leonardo DiCaprio and cinematographer Emmanuel Lubezki are assured. Two other races could prove conclusive, though. If Spotlight’s Mark Ruffalo or The Big Short’s Christian Bale can upset Creed star Sylvester Stallone in the Best Supporting Actor race, that could be a Best Picture clincher for their films. Ditto Best Editing, where The Big Short is competitive with Mad Max: Fury Road. If Spotlight or The Big Short can pull off either of those significant wins, upping their Oscar total past the typical threshold, look for The Revenant to be left out in the cold when it comes to Best Picture. For more about The Revenant’s Best Picture odds, as well as Leo and Brie’s sure-thing Best Actor/Actress wins, listen to Vulture and the Frame’s The Awards Show Show podcast below — and be sure to subscribe to stay on top of this year’s awards conversation.